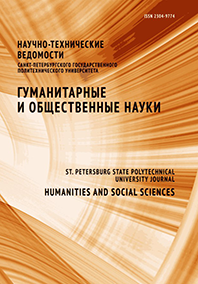 Aladyshkin Ivan V. Safonova Alla S.
The article is dedicated to changing the nature of understanding of technical reality in a global society. The aim is to consider the modern discourse of technology, which went far beyond the actual technogenic or production areas. The work is an appeal to the history of the development of technology, evolution of technology, as well as a change in ideas about technology, its essence and meaning. The study is based on classical works of Western thinkers on technology, as well as studies of modern Russian historians and technology philosophers. In exploring the subject, we have used a systematic approach, which regards technology as a component of a single technical system that is part of a more general universe with its objective laws. We have come to the conclusion that the globalization processes of the second half of the twentieth century are primarily related to the technological and technological development of mankind, which entails the formation of a single world-wide network market economy, social and cultural transformations.